One of the reasons Halloween is my favorite holiday is because it has a sense of humor. Your don't have to take your decorations too seriously. Anyway, they're probably only going to be up for a couple of weeks, so have fun with them! 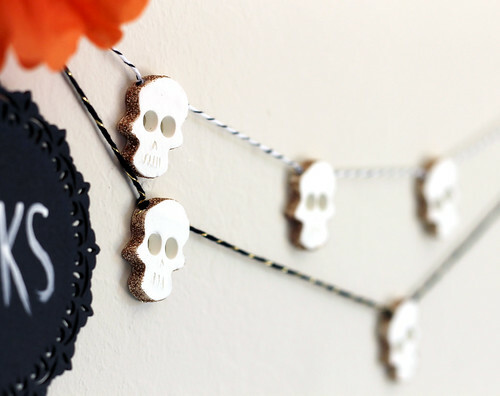 I made this paper clay skull garland and thought it would look great hanging above a Halloween party bar. Here's how you can make one yourself. La Doll Premier Lightweight Stone Clay. This stuff is so fun to work with! 1. Roll out the clay in between two pieces of waxed paper. Cut out your shapes. Keep a cup of water nearby. Dip your finger in the water and smooth out the edges of your cutouts. 2. Using something round like a pen cap, punch out the eyes. 3. Using the toothpick, imprint the nose and the teeth. 4. Add two holes on each side. Let your cutouts dry on a drying rack for a couple of hours. Keep the unused clay in a sealed container so it won't try out. 5. Brush the modpodge around the edges of the skulls. Sprinkle the glitter on and shake off the excess. 6. Cut the baker's twine in 4" - 7" lengths. Tie a knot near each end. 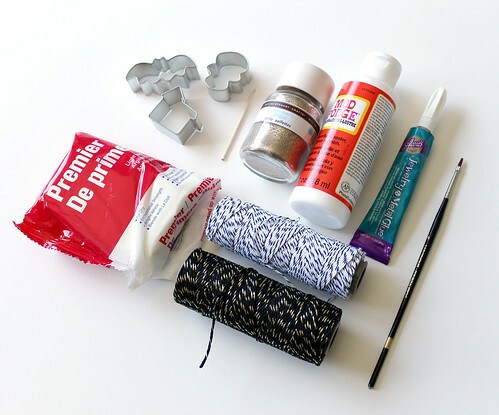 When the Mod Podge is dry, add the jewelry glue to the holes and attach the twine. The knot in the end will help it stay put. 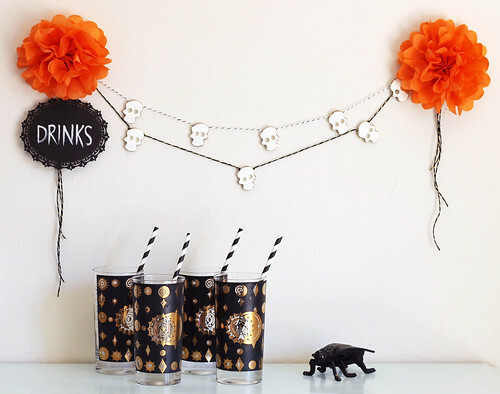 Continue adding skulls to your garland until it is your desired length. Hang up your new garland in layers! I made some tissue paper flowers in orange and painted this cute little drink sign. 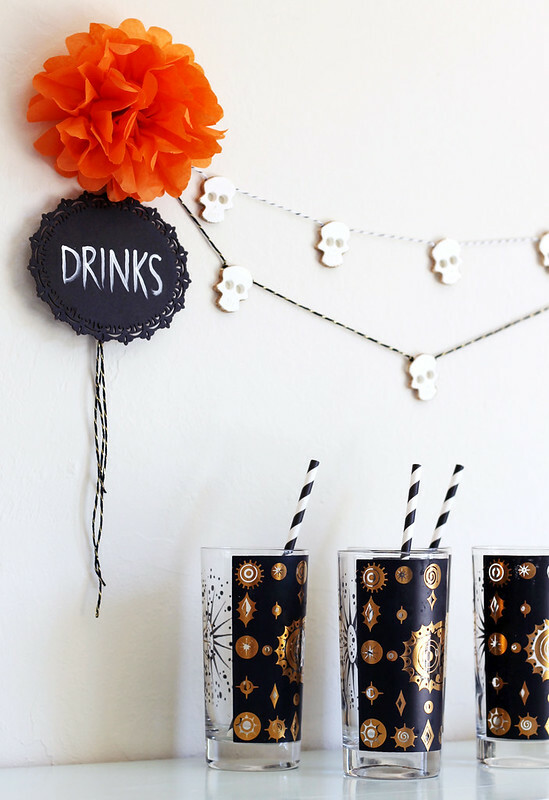 Perfect decorations for a spooky Halloween drink bar!